From the master craftsman, Keith Brymer Jones, a hand-finished large dinner plate with “cooked with “love” embossed by hand to ensure no two pieces of Keith Brymer Jones designer homeware are exactly the same. Part of the Keith Brymer Jones Word Range. A distinctive accompaniment to a home-cooked meal, this designer dinner plate shows your guests their food was ‘Cooked with Love’. 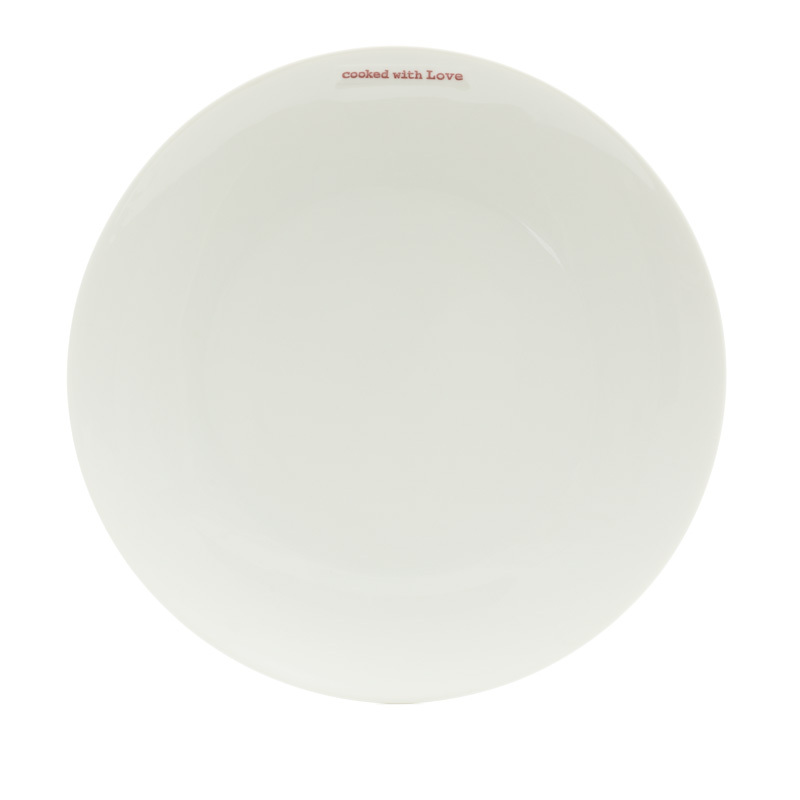 Both dishwasher and microwave safe, Keith’s Word Range is crafted from high-quality porcelain.